did it snow up there and nobody told me? lisa you posted this at like, 3:00. aren't you at work? isn't it a little soon to start goofing off? it hasn't even been a week. i hope it's going well anyway. and to answer your question: yes it snowed. really hard. 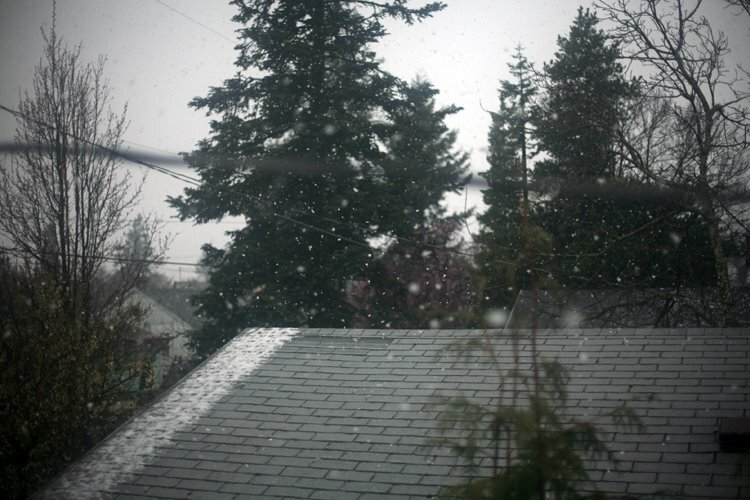 but it was a stupid useless snow that melted as soon as it hit the ground- it wasn't worth telling anyone about. it was a sad and antilimatic non event. yeah...i am waiting for the amazing pictures of the arboretum that susan took of our hike to the House of Winter...it was truly amazing...and it was going to be the best blog post ever...it was magical...the most snow I have ever seen (besides on the mountain)...however, i'm still waiting for the pictures.